The Ponca City Police Department’s request to purchase 36 new Taser units and 36 new body camera units was approved Monday night by city commissioners. A total of $83,200 was appropriated in the fiscal year 2018-19 budget for the purchase and Police Chief Don Bohon said officers field tested units from AXON and WatchGuard. A quote from AXON was $64,614 for the first year, as part of a five-year Officer Safety Program and includes 36 body cameras, spare cameras, mounting options,docking stations, back end software for the management of video, and all needed licenses to access, archive, edit, redact video as needed, and unlimited secure cloud storage. 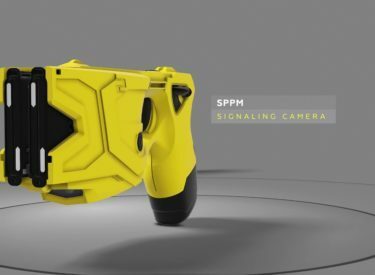 The bid also includes a Signal Sidearm Sensor for the Taser holster that activates the cameras if the Taser is removed from the holster. A five-year Officer Safety Program has a continuing annual cost of $44,424 per year for years two through five, which includes a total replacement of all cameras and docking stations at the 2.5 year mark, and warranty throughout the five years on all equipment including Tasers. The program agreement contains language that if funds are not appropriated in subsequent years, the program may be voided and all equipment sent back with no continuing costs. The quote from WatchGuard was $88,154 for the purchase of 36 body camera units. The quote includes docking stations, back end software for the management of video, and year one costs for all needed licenses to access, archive, edit, redact video as needed, and secure cloud storage. The quote from WatchGuard included a three-year warranty on the cameras but did not include Tasers. For the WatchGuard product there is a continuing annual cost for years two through five of $17,820, which would cover licensing, software costs, and secure cloud storage. The cost of replacing 36 Taser Conducted Energy Devices, without the Officer Safety Program, would be $54,600 over the five-year agreement. Combining this with the quoted cost of body cameras from Watchguard,would make its first year cost significantly higher at $102,434, which is well in excess of the budgeted amount. The Tasers combined with the annual cost of licensing, software, and cloud storage through WatchGuard for years two through five would be $27,900 per year. Bohon said he and the department recommended approval of the AXON bid, which was unanimously approved by commissioners. The equipment will be ordered within a week, Bohon said, and should be delivered in four to six weeks.